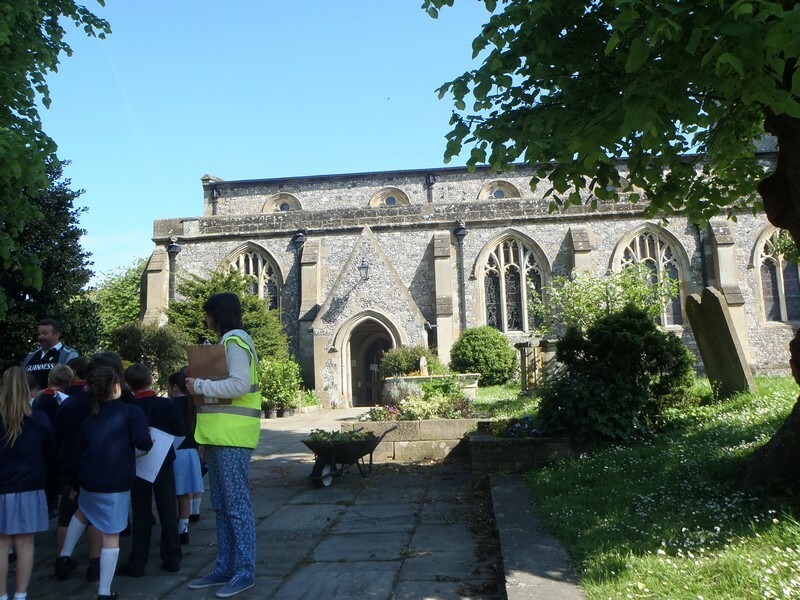 As part of their topic on Arundel Years 3 and 4 walked around town with Paul Ulson, the History Man. They looked at how the town had developed around the castle during the Norman period, developments during medieval, Tudor and Georgian periods. Finallly they looked at modern buildings such as the Museum and the Co-op. 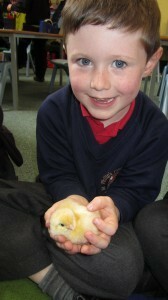 Walk to School week takes place as part of National Walking Month in May. This year’s Walk to School Week runs from Monday 19 to Friday 23 May. 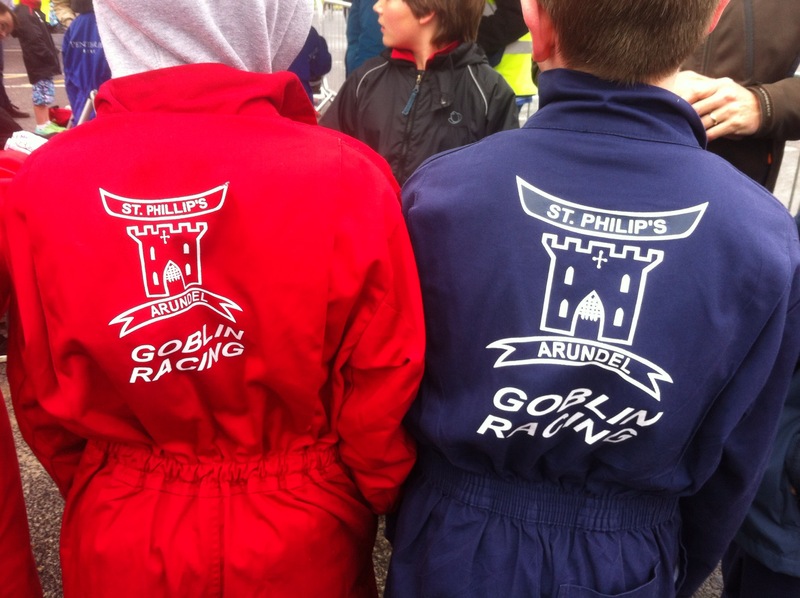 We do hope you will all take up the challenge – maybe parking a little further away from school and walking the rest of the way. Additionally, St Philips is running a road safety poster competition in class, with winners having their poster displayed outside the school. 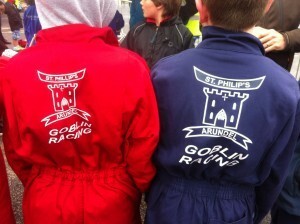 Despite the blustery weather it was another successful year at Banjo Road for the St Philips teams. Both cars got through to the semi-finals in the sprint race, sadly ‘the Wasp’ got to close too the kerb and rather dramatically burst a tyre. The ‘Samurai’ fared better and driven brilliantly by Daniel won the final! 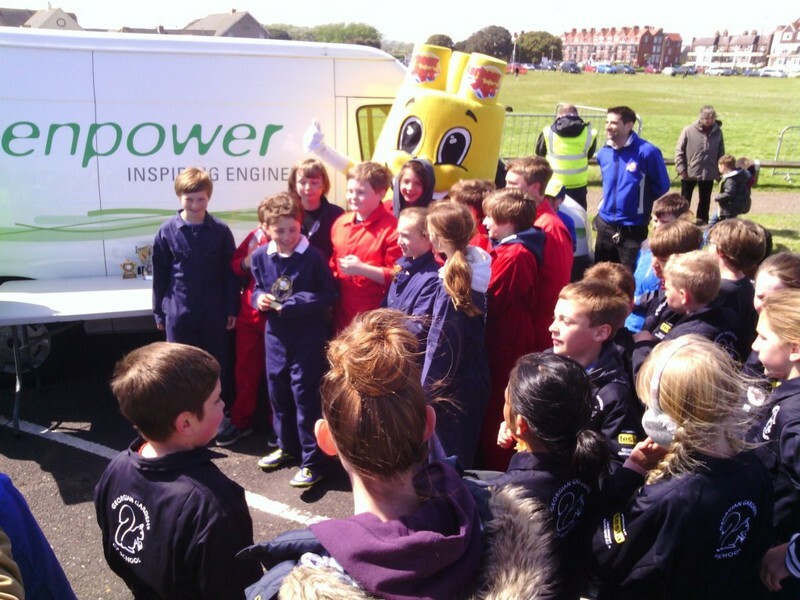 The team also won best bodywork award for ‘the Wasp’ design. It was a brilliant day, one that everyone, children and parents enjoyed. 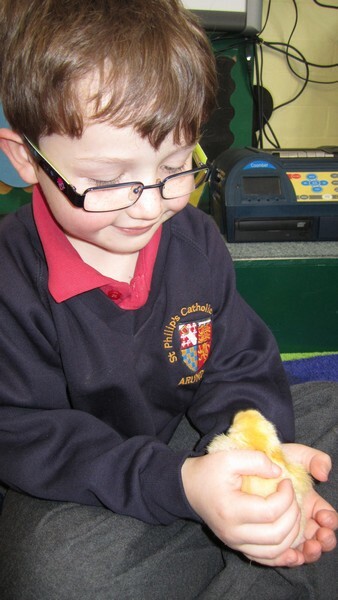 Year R’s are sharing their classroom with 8 newly-hatched chicks and a tank of tadpoles at the moment as part of their topic this term – ‘All Creatures Great and Small’!